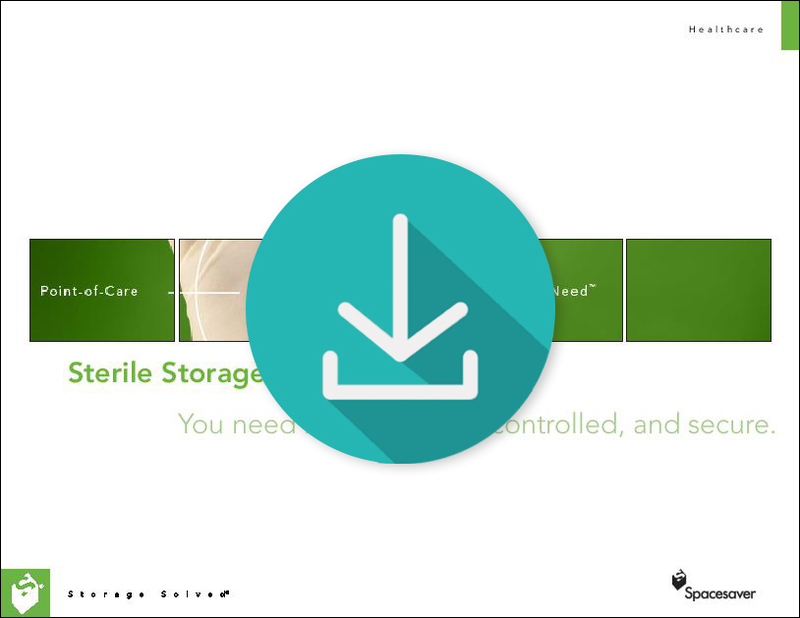 Sterile storage is a crucial component of patient care. Well-organized sterile supply areas allow staff to find what they need quickly, which improves response times as well as staff morale. Your local Spacesaver representative can recommend a variety of ways to improve patient care, control costs, and save space. 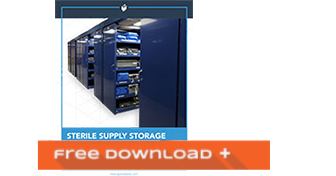 Download our Sterile Storage lookbook to see how we’ve helped other hospitals streamline their sterile supply storage. High density mobile storage allows you to store significantly more supplies in your existing space by eliminating wasted aisle space. Aisles can be easily opened for quick access to items, while still providing enough space to accommodate carts. Standard High Density Mobile Storage utilizes a floor rail system with shelves mounted to carriages. Aisles are opened by turning a mechanical assist handle or pushing a button. LEVPRO Mobile Storage features a suspended shelving design with sliding shelves mounted at the top and lifted off the floor. Aisles are opened by pulling a manual handle. At Bryan Health’s many healthcare centers in Lincoln, Nebraska, patient care begins long before staff enter a patient’s room. It begins behind the scenes with the way that supplies and equipment are organized to ensure that staff have quick access to the items they need, and that those items are sterile and ready for use. When the hospital’s sterile surgical kit storage was resulting in wasted space and wasted staff time, the staff found a new solution. Learn how the LEVPRO suspended shelving system helped sterile supply staff gain 38 percent more space, while also saving time on housekeeping chores as well as surgical kit retrieval and replacement. I have always instilled that the patients come first, especially the safety, the cleanliness of the facility, the way the facility looks. We’re very proud of that. With this system, it tightens everything up, keeps things clean, it’s easy to clean under, around, on top.